Tommy Poynter grew up in Houston Texas and is a lifelong Houstonian. He spent five years in Austin where he attended The University of Texas and received a Bachelor of Science Degree in Mechanical Engineering and was an officer in the Sigma Chi fraternity. As a young boy he performed at local theaters through his school doing acting work and poetry competitions. He worked as a boy and teen Fashion Model and completed Local TV and Print commercials with his Mother; an accomplished actress and model in Houston. After a long professional career and raising a family, Tommy went back to his acting career with a focus on Feature Films and Film / TV Commercials. 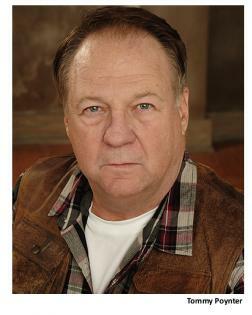 Tommy currently studies acting at the Film Acting Academy in Houston and with director Gary Chason Studios in Houston. Over The past few years Tommy completed numerous workshops and training courses with prominent instructors in the Houston area. Filming of the feature film “A Lonely Woman” finished in 2014 and releases expected in 2015. Call me played Tom Harrison a lawyer with an agenda. Tommy is active in the community and still works as a salesman in the Commercial Construction Industry selling real-time computers that control all the complex systems for building and campus comfort and security. Hunting, Fishing, Boating and University of Texas Football are his current passions. Tommy has been married for 27 years and has two sons; Reid and Kent. Tommy is represented by Pastorini Bosby Talent Agency in Houston.